Narbonne’s football team is tasked with going 2-0 this season versus No. 4 seed Carson which gets a chance at redemption against the Gauchos on its second visit this season. Although the score in Carson’s Marine League game loss was not close, the playoffs is a different season. 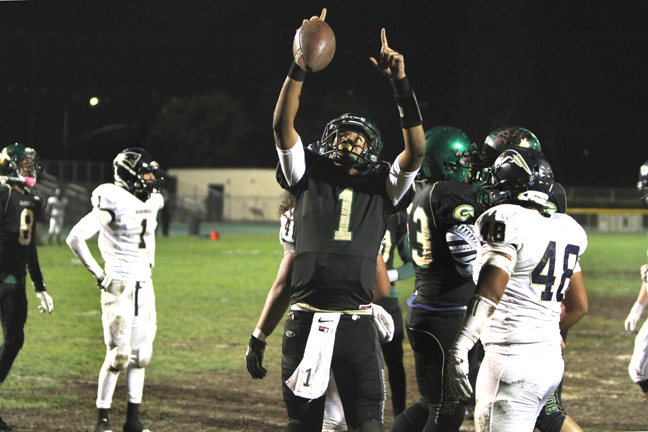 Top seeded Narbonne struggled unimpressively in its second round game against Birmingham. They did not look like a team that is destined to repeat as City champions. In fact both it and Carson, unlike the first round, were pushed to the limit and had to earn their respective second round home victories. Despite having the home field advantage, can Narbonne afford to give away anything near the 140 penalty yards that it surrendered versus Birmingham? Perhaps so if Carson again cannot score better than the mere eight points it posted in the last meeting. It’s going down at the same place, same time. But the Colts better have a different game plan the second time around.